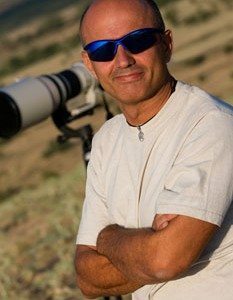 Born in Spain, in 1968, I am a self-taught photographer and took my first photographs when I was 15. I started with aviation photography in the middle of the 90s inspired by my everyday contact with helicopters and seaplanes because of my job as a firefighter, and make my first professional jobs in 2001. Currently, take 20 years working as a firefighter, and the last 15 I’ve made compatible with the work of a photographer. Although generally work under contract, after 15 years, I have a graphics archive with over 27.000 images available for sale. I have specialized in the use of long fixed focal lengths combined with very slow shutter speeds, a technique that has allowed me to add a great dimension to my work. I have also specialized in air-to-air photography. Since 2004 I won 24 photography prizes in contests organized by the Air Forces, government institutions, and other private institutions.